With 11 lenses and two converters, the Sony FE system has some high-quality optics. 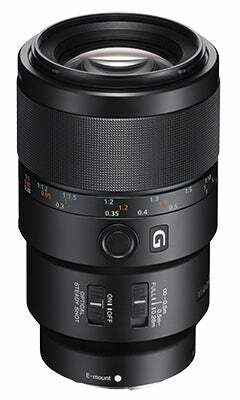 We look at the best in our guide to Sony FE mount lenses. Launched in October 2013, the full-frame version of Sony’s E mount (known as the FE mount) is used with the company’s full-frame Alpha 7 compact system cameras. Although it took a while for the system to grow, with only the Zeiss Sonnar T* FE 55mm f/1.8 ZA, Zeiss Sonnar T* FE 35mm f/2.8 ZA and the FE 28-70mm f/3.5-5.6 OSS (kit lens for the Alpha 7) available at the launch, it has since increased steadily. Three zooms cover the entire range from 16mm to 200mm at an aperture of f/4, while videographers have the extremely impressive FE PZ 28-135mm f/4 G OSS. 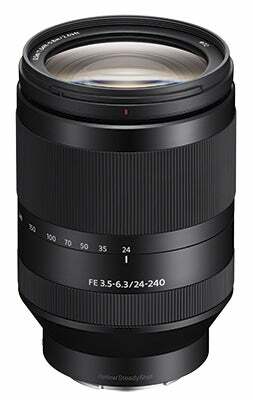 The latest zoom is the FE 24-240mm f/3.5-6.3 OSS 10x travel zoom, and now, with the basic line-up of high-quality zooms complete, Sony appears to be switching its attention to ensuring there is a solid range of prime lenses available too. 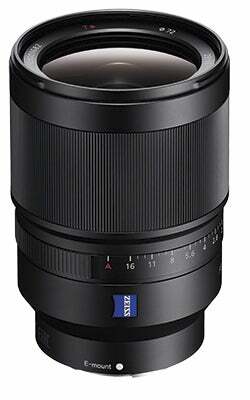 Alongside the original Zeiss 35mm f/2.8 lens, there now sits a Zeiss Distagon T* FE 35mm f/1.4 ZA. An FE 90mm f/2.8 Macro G OSS and FE 28mm f/2 – the latter of which can be used with wideangle and fisheye converters – completes the current fixed-lens line-up. 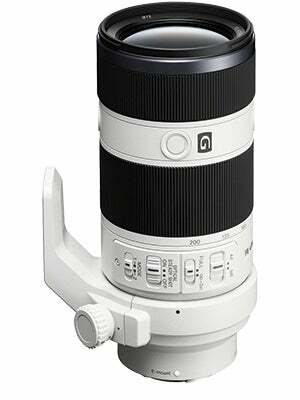 However, it is expected that by the end of the year there will be closer to 20 lenses in the FE range rather than 11. 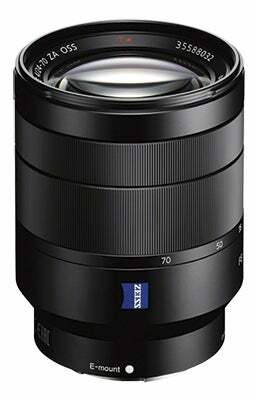 It is worth noting that all standard Sony E-mount lenses can be used on the Alpha 7 FE-mount cameras, although the edges will suffer significant vignetting. That said, you can use the crop mode and, if you have a Sony Alpha 7R, you will still come away with 15-million-pixel images. Some third-party manufacturers are redesigning their existing DSLR lenses for use with the FE mount. 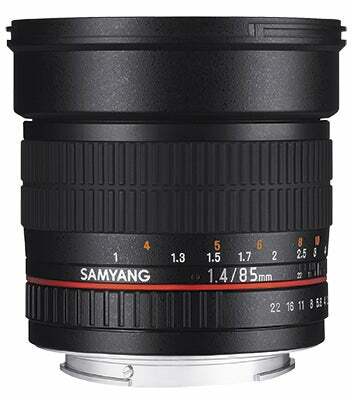 Samyang, for instance, has released 14mm f/2.8, 24mm f/1.4, 24mm f/3.5 tilt-shift, 35mm f/1.4 and 85mm f/1.4 lenses. These are basically the same as their Canon and Nikon equivalents, but have in effect had an extension tube built in to deal with the different back-focus distance. These lenses are manual-focus only. 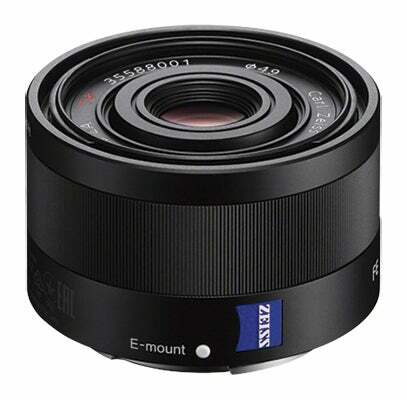 Another interesting option is the Mitakon 50mm f/0.95, with its extremely large aperture, while Zeiss also manufactures a range of compact prime lenses designed for video use. Of more interest to photographers, however, will be its Loxia range. 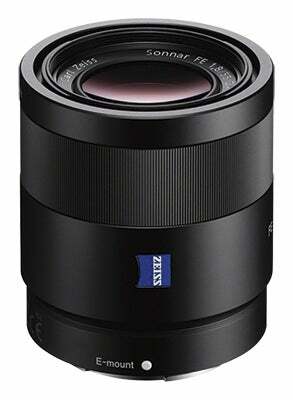 The Zeiss Loxia Biogon 35mm f/2 and Loxia Planar 50mm f/2 are manual focus, but with electronic aperture control. The lenses aren’t cheap (the 35mm f/2 is priced at just under £1,000, while the 50mm f/2 costs £719), but they should offer excellent image quality in a compact lens. 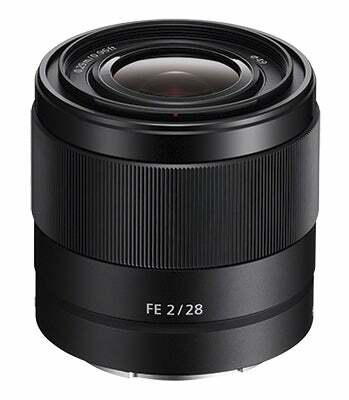 There is speculation that Sigma and Tamron will launch FE-mount lenses at some point, but there is no definite information at the moment. There is a wide range of third-party adapters available, although to control the aperture settings correctly older manual-focus lenses with aperture rings should be used. However, recent adapters from Metabones (www.metabones.com) will allow for either manual or electronic aperture control via the adapter, and the Metabones adapter will actually allow autofocus to be used, albeit very slowly, with Canon EF autofocus lenses. Sony produces a range of LA-EA adapters that will allow Sony A-mount lenses to be used. The LA-EA3 adapter uses contrast-detection autofocus, but the LA-EA4 adapter has a built-in pellicle mirror and phase-detection AF sensor. This means that A-mount lenses can be used with FE-system cameras with the advantage of phase-detection AF. 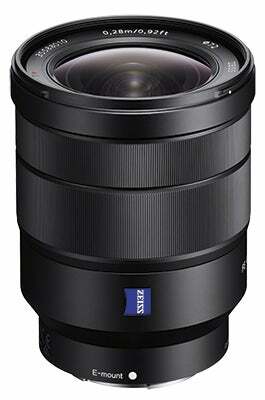 For a new system, Sony has done well to get the key lenses released, but there are a few gaps. Many photographers would like an f/2.8 zoom, and there is an obvious need for an affordable range of prime lenses. With these lenses added, there will be few gaps for the FE-mount Alpha 7 cameras, especially with the addition of third-party lenses. Perhaps what photographers want more than anything else, though, is a few smaller and lighter versions of these lenses, but the current emphasis seems to be on optical quality rather than compromising this in favour of size and weight.